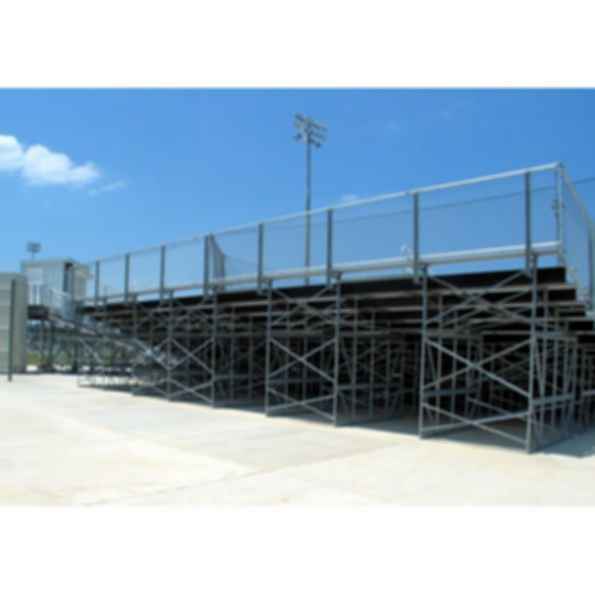 economical, durable solution for all types of indoor and outdoor venues and can be configured for any venue. Standardized box frame construction includes cross bracing and stringers spaced at 6 feet on center. 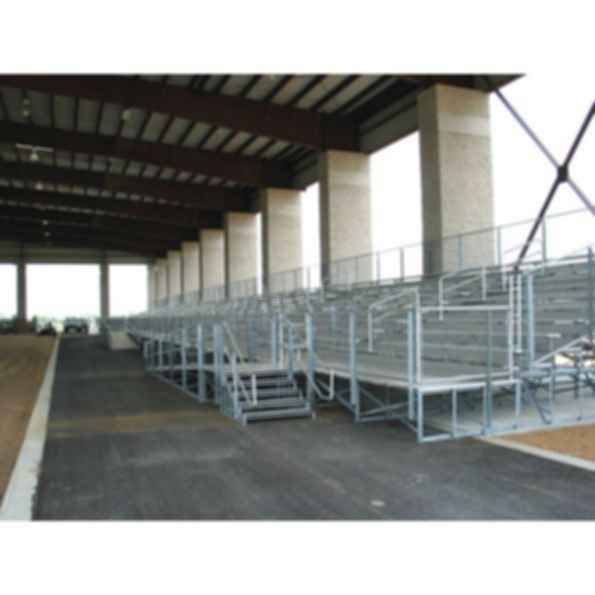 Designed for installation on a flat and level surface, this type of system provides the flexibility of adding seats as your facility grows. 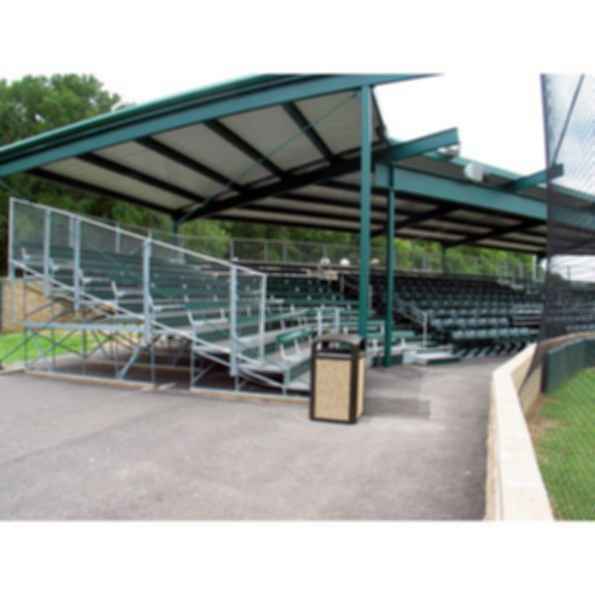 Angle Frame Bleachers provide the ultimate seating for crowd appeal, strength, easy installation and very low maintenance. 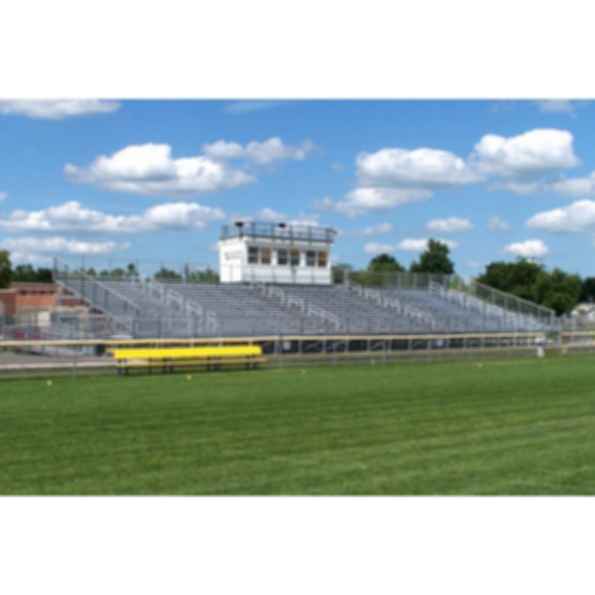 Seating options include benches with straight backs or individual chair seats, and armrest can be added to designate exact seating for reserved areas.